Donny Lalonde was boxing’s original “Golden Boy.” He won a light heavyweight title in the 1980s and faced the biggest star of his generation, Sugar Ray Leonard, giving him a stern test. Lalonde was born on March 12, 1960 in Victoria, British Columbia, Canada, the product of a broken home. He had a tumultuous relationship with his stepfather, who often used to physically abuse him. He had a Grade 9 education and, at 15, hitchhiked to Kitchener, Ontario, where he worked several low-level service jobs. At 17, he entered a boxing gym on a whim, after being impressed by the sport, watching ABC’s “Wide World of Sports.” Life, as he knew it, would never be the same. 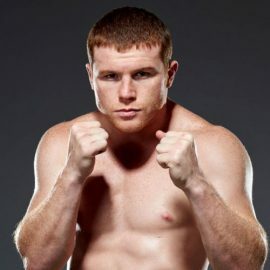 “My life changed when I found boxing because I found purpose, focus and self-esteem.” Lalonde told RingTV.com. Lalonde had a brief amateur career, going 11-4 before turning professional in 1980. 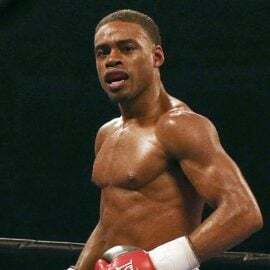 He won his first four fights before dropping a decision to Wilbert Johnson but got revenge, knocking Johnson out in two rounds, seven months later. During the early years, he promoted himself with help from his brother and lived a modest lifestyle. All the while Lalonde learned from sparring with then-light heavyweight champion Marvin Johnson. He won the Canadian title in July of 1983, stopping Roddy MacDonald, before stepping up to face Willie Edwards, six fights later, for the NABF title in 1985. In that bout, Lalonde was stopped in front of his home fans in the ninth round. Unperturbed, he bounced back with 10 straight wins, including one over teak-tough Mustafa Hamsho to set up a shot at the vacant WBC light heavyweight title. He made the most of his opportunity, stopping Eddie Davis in two rounds in the exotic surroundings of Trinidad and Tobago six months later. Lalonde stopped Leslie Stewart in five rounds in the same location before being offered a super-fight with the legendary Sugar Ray Leonard. The two met in November of 1988, for both the newly-created WBC super middleweight title and Lalonde’s WBC light heavyweight belt, agreeing to a contracted 168-pounds, so both titles could be on the line. 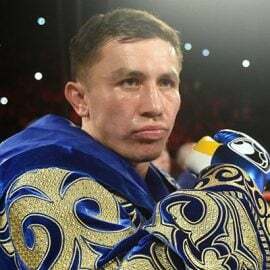 “The fight itself was a huge disappointment for me,” he said, explaining, “because I had prepared myself and my life for such a big event and, on a skill level, I showed I was able to compete with the greatest – at least in my mind – and I think I showed that the first four rounds. Although he was stopped in the ninth round, Lalonde earned a career-high $6 million. 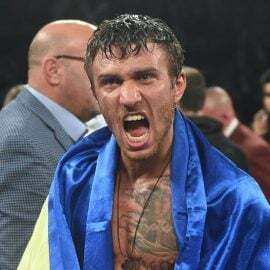 He was due to return the following June against Dennis Andries for the now-vacant WBC 175-pound crown; however, he decided to step away from the sport. 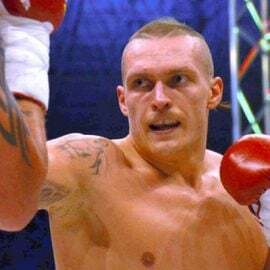 Nearly three years after the Leonard loss, Lalonde found the lure too much and returned, winning four fights – all by knockout – earning a shot at Bobby Czyz’s WBA cruiserweight strap. Lalonde fought valiantly but lost a unanimous decision. Again Lalonde stepped away from boxing, this time for four-and-a-half years. When he returned, he went 6-0-1 at a lower level before facing Virgil Hill in the summer of 2003, dropping a unanimous decision. After the Hill loss, Lalonde retired from boxing with a record of 41-5-1 (33 knockouts). Lalonde, 56, has been married to Christi for 25 years. The couple have two children, Dylan, 24, and Bailey, 22. He currently lives in Malta and is still involved in boxing, working with a young pro light heavyweight Malik Zinad (5-0, 4 KOs). He is also writing his autobiography. Away from boxing, Lalonde has been involved in several real estate deals that haven’t worked out well for him. Lalonde graciously took time to speak to RingTV.com about the best he fought in 10 key categories. 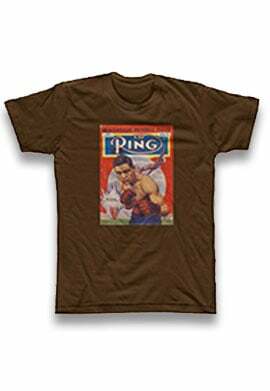 Virgil Hill: Virgil Hill had the best jab of anyone I ever faced. He had an innate sense of when to throw it and moved so well with it. That being said, I had a very bad eye injury going into the fight. It was a career-ending injury, suffered, a week before the fight, in sparring. I was hit by a jab by Kingsley Ikeke and my eye closed immediately and was cut across the eyelid. Worse was that the pain shot right down my back to my sciatic nerve in my hip so I knew it was bad but I didn’t know in what way it would affect me until the fight started. To get the swelling down in time for the fight, and the cut healed, I couldn’t move my head or the swelling would increase. For the week before the fight, I couldn’t do much. I kept saying to my wife, “I see out of each eye separately but together they don’t work right. It is weird. 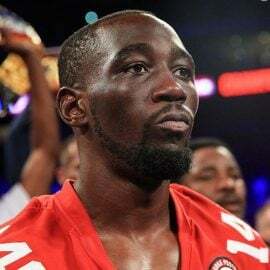 Oh well, I’ll get it checked after the fight.”…I realized it was going to be a long night in the dressing room when I started hitting the pads with Freddie Roach and I couldn’t tell if they were a foot away or a yard away. It took certain moves of my head to be able to determine distance. Then when the fight started and Virgil would move, which was constantly. I saw trails of him going one way, then the other. I took a beating for 10 rounds but that jab was ever present and I couldn’t do anything to avoid it. Hill: Virgil Hill had such great footwork and fast hands. It made his defense top-notch. Again, with depth perception issues and seeing trails, due to the eye injury, diminished my abilities, so it is hard to say really. Ray Leonard, of course, had great defense but his defense was actually even better when he was hurt. Hurt, in our fight, Ray seemed to have radar that made it impossible to connect with anything. Hill: His hand speed was very deceptive. Hill: The legs on Virgil made him one of the greatest fighters our division has ever seen. Even at 39, which I think he was when we fought, he had tremendous movement. Second to none, in the history of our division (cruiserweight), I would say. Mustafa Hamsho: Either Bobby Czyz or Mustafa Hamsho would get the nod. If I had to pick one, I would go with Hamsho because I stood in there against him, as I was younger, and I didn’t go into the fight with a broken ulna bone in my forearm. I hit Hamsho with so many clean right hands, right on the chin or head, and it would make him bend over backwards but nothing I hit him with put him down. Bobby Czyz: Probably Bobby Czyz. Bobby had to cut down from over 200 pounds to make weight for our fight. I struggle to understand how a fighter could go from 160 pounds to over 200 and be cut; he had such low body fat percentage. I had no idea a human being at over 25 years old, closer to 30, can gain weight and retain a low body fat percentage naturally. It may be able to but it doesn’t sound right to me. Steroids? Maybe, they also apparently make one extra strong as well which it seemed there had to be something beyond normal in the Czyz I fought. Roddy MacDonald: Best puncher designation I would have to give to Roddy MacDonald, who I fought for the Canadian title. Roddy was slow of foot and I was very respectful of his power, so I did not expose myself to him much. That being said, he did connect one time about midway through the fight. He hit me clean in the face. One side of my head vibrated excessively for what seemed like minutes and the other side was completely still. I had never experienced that feeling before and/or since. Roddy hit you like he had a sludgehammer in his gloves. Honorable mention was the effect of the punch that caused the first round knockdown in the Czyz fight. I still, today, don’t remember the next four rounds after that knockdown. Leonard: Best skills has to go to Sugar Ray. Ray had to have such a versatile skill level to win the fight between us considering the adversity he faced in the amount of times he was injured and his clarity of mind altered so many times, he had to dig so deep into a very diverse tool bag of skills to come up the winner of our fight. Leonard: The best overall has to go to Virgil Hill or Sugar Ray. Both had so many skills, on such a high level. It is hard to determine a “most skilled”; I’d say Sugar Ray. Again, I have to mention, with a damaged eye in the Hill fight, and having been so depleted in the Leonard fight, with weight loss, it would have been interesting to fight either or both of those guys with an even somewhat healthy body. Questions and/or comments can be sent to Anson at [email protected] and you can follow him at www.twitter.com/AnsonWainwright.